Mr. Deere is the Executive Vice President of the Georgia Commercial/Private Banking group at Atlantic Capital Bank. He has over 36 years of commercial banking experience, of which the last 28 years have been in leadership positions. 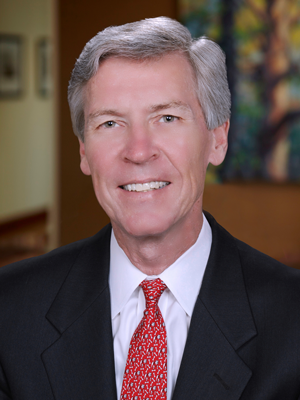 Prior to joining Atlantic Capital Bank, he led corporate banking groups at Bank South, SouthTrust Bank, Fifth Third Bank and Wachovia Bank, where his last position was that of Commercial Banking Executive for the Georgia market. Mr. Deere has served in various capacities with Metro Atlanta Chamber of Commerce, Leadership Cobb, Children’s Healthcare of Atlanta, the Metro Atlanta Rainmaker Council, the Center for Family Resources, Atlanta Venture Forum, Wachovia Bank Charitable Foundation, the Georgian Club, and Mt. Bethel Church – North. Mr. Deere earned a Bachelor of Arts in Accounting from Grove City College in Grove City, PA. He became a Certified Public Accountant (CPA) in 1978.